Following the hardware upgrade at GB3MCB from Cornwall IO70OJ on 144.469MHz, I had a look at the signal. I make the tropo direct signal to be on 144.469108MHz at present. Amazing amount of aircraft scatter on the signal, with multiple planes at a time. 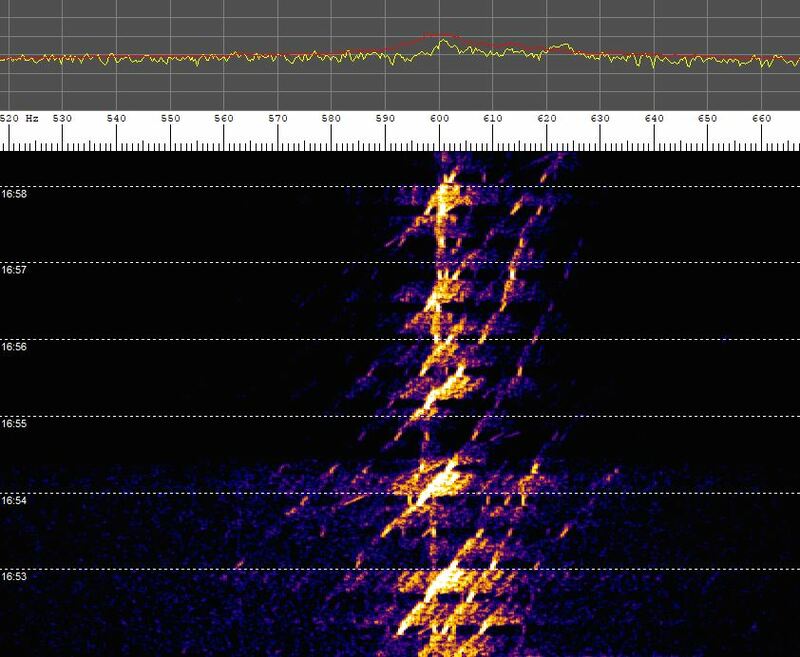 Rate of change of Doppler shift has a definite dominant slope, with a few much steeper ones where the plane is closer to the direct line of sight. Range is 458km over a very obstructed path.